Are You Making, Attracting and Receiving The Money You Deserve? Are you struggling with financial or career problems? Do you feel lost and in need of direction? The objective is to make our lives free of financial struggles! Improve your communication with others, making it easy for you to get what you want, including money! NOTE: If you already watched the stream in real time, you will also benefit from watching a second time as the strengthening and deletion that Dr. Yuen and Marnie demonstrated will be reinforced. WE TOOK A SURVEY FROM OUR VIEWERS, AND ASKED IF THEY EXPERIENCED ANY REAL-TIME CHANGES ON OUR LIVE STREAM, AND HOW THE YUEN METHOD IMPROVED THEIR LIFE? Improved the pain and diseases of those whom I have brought to him as well as helped to dissolve pain in my frozen shoulder. I am able to relieve some physical pain using the Yuen Method. I pay more attention to my intuition and find the source of my weaknesses. 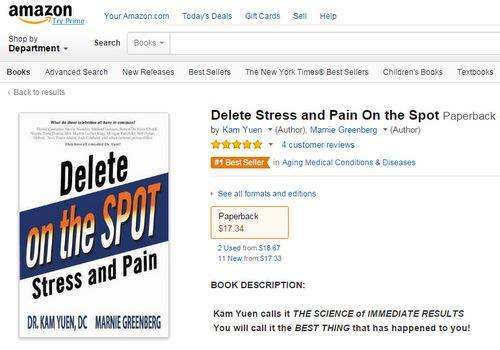 I have attended Dr Yuen's seminar in San Francisco and used his methods to help people eliminate arthritis. Each session Dr. Yuen shares I try to attend. It has been life-changing for me. Thank you Dr. Yuen! Yuen Method has helped me tremendously. I was at my lowest energy with challenges from my friends as well as my own family. Now I feel clear, and pains were deleted at the time needed. My chronic pain has been reduced. The aches I have in my body from arthritis are less intense. I've booked my retreat, room. & Airfare & can't wait to see you both again! Very well – I can now walk without pain in my feet. I really can't say enough about Dr. Kam and his wonderful system of instant healing, I still refer to his first book, “you can learn instant healing.”. After one workshop in New York, I became proficient at eliminating pain in others. I have seen astonishing healing – a clearly sprained ankle – and scores of problems solved by Dr. Kam in person. I don't put up with little aches and pains now! Miracles, miracles and more miracles …! It continues to improve my life … and I believe it always will. It's a part of me now. I feel stronger physically & emotionally and am more neutral to other's and my own possible dramas. It is a dream come true for me that I won a ticket to the 2 day workshop in L.A. I so desired to further experience the Yuen Method to strengthen myself and others and this is more than I could have ever hoped for! Much love, thanks & blessings. I`v learned a better way to delete the issues and all feelings around the issue, and to strengthen my center and other weak feelings. I feel everything in my awareness has been much more clear. I feel much more secure and I know I can overcome things more easily. Thank you very much for your work, both of you. Yuen Method has turbo charged my life from typical to astounding abundance. My abundant health, wealth and happiness at my age has all my friends and acquaintances envious of my ‘lucky genes' in spite of my insistence the luck is finding Yuen Method! Still have things to work on but it has being very helpful! I use Yuen Method techniques every day to keep self centered and address physical and nonphysical issues. The grief that I have been clearing is helping my knees/hands/thumbs. Becoming more stable and neutral. No reacting as emotionally as I did a month ago. Still need improvement but there is neutrality coming for that! I feel 15 years younger. Thanks, Dr. Yuen! Please keep strengthening me for “less aging”. Thank you! Yes, I have attended ones before. A spiritual side of my life was awakened and that was what I was missing for a long time. Thank you. In every part of my life … my thinking, neutrality, career… helped a lot of people!!!! I started with Dr. Yuen and Marnie 10 yrs ago at the Catamaran seminar in San Diego … Louise Hay was there. One of the best methods for creating improvement quickly!!! Thank you both!!! Pain issues that traditional western medicine could not find answers for were cured on the spot with the Yuen Method….amazing stuff! 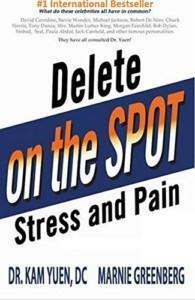 I've been able to help many people with deleting their pain. Shifting focus to body centered awareness. Changed major health challenges for family members. It helped me deal with grief, loss, and enormous anger. It has helped me to help others with numerous issues. I do feel an energy shift when you are taking calls. I think the delete the mind and activate the brain has been a great insight in that it makes the concept of “stop thought and be present” more meaningful by using those words – another way of saying it that clicks with me. I find your psychic insights into the past of clients fascinating – how you connect the astral energy that becomes physical issues with events so quickly. It has deleted my pain. I now look at the real cause and how it is affecting me! Temporarily…made me freer creatively. A bunch of teen poems just poured out of me. Can't even write the 1st line of those fun stories now!!! And I am creative and aware. Right after my weekend session in Toronto , jumping right into level 3 from level nowhere, they came to life. I feel a load taken off my shoulders in regards to the death of a very, very close relative. This happened when I was 10 and now I am 38. I didn't realize I was carrying all that sorrow and sadness with me until it was deleted. I literally felt the weight off my shoulders. It is an amazing thing. Now I want to apply the method on every single aspect of my life. Thank you for all the strengthening! I still need to take in more practice sessions. I find that the little that I can experience and utilize is very effective. It has made me aware that instant healing exists and can be tapped into. Walk with Yuen Method, it is so very alive and experiential. Yuen changed my life. It is the best thing ever. Thank you Dr. Yuen! I am fortunate. When Dr. Yuen corrects others in the room I am corrected at the same time. I am so blessed. It strengthened my belly muscles! By making me aware of my unlimited potential! Expanded understanding & trust in the “unseen” (quantum physics), with training and use of healing modalities within Yuen Method (and other modalities) support myself and others, able to shift unwanted circumstances and energy! I use the mid line technique on myself regularly and on others! I took the level 1 course twice in British Columbia, Canada. I have not attended any events with Dr. Yuen or Marnie. But definitely the Yuen Method removed a heavy load from my shoulders when I deleted my ancestors karma as a result of which I became happier and less anxious. Not immediately, but a lot of the questions answered had an improvement. Listening to the webinar makes us feel better at home. Thank you! Greatly in subtle ways which can't be totally described but is the most efficient method in a life of energy management. I have not attended but was a student of tai chi for 3 years and Kam healed my knee and back problem at that time and I was able to function much better afterward. Greater mental clarity. Feeling a lot lighter. More ways than can be imagined! Very helpful in all ways.